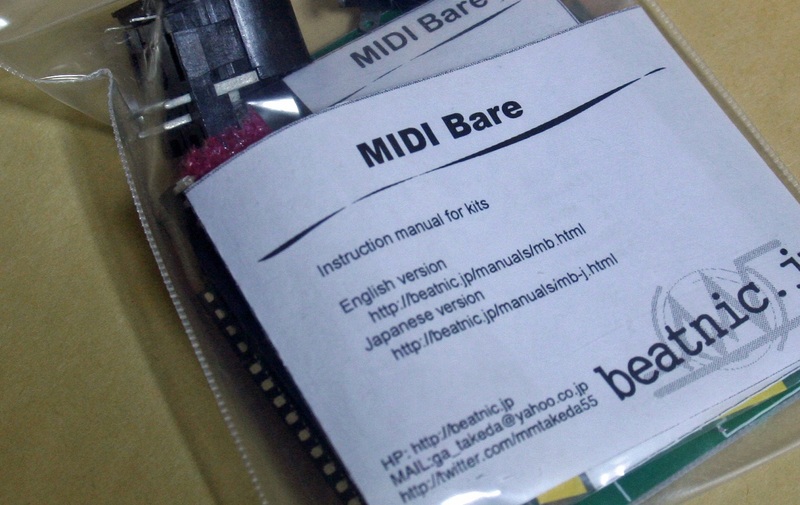 ‘MIDI Bare’ is the kit that will support experiments for MIDI based gadget. It had originally developed as “Sync it”. It convert MIDI clock to eighth note pulse for sync signal for korg’s volca and monotribe. 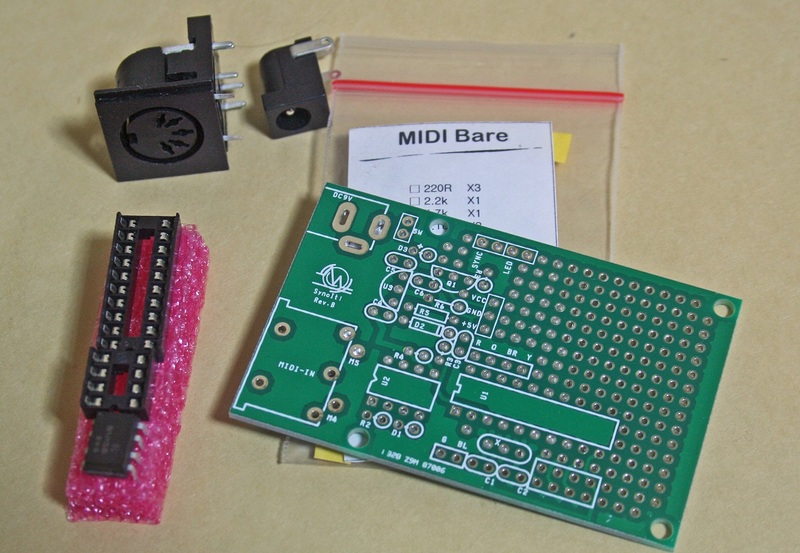 This project’s core is MIDI stream receiver part for CPU (ATTINY2313) and power source. Generating pulse for clock is so simple. so the pcb board is same as ‘Sync it’. If you build it as is, then you can get ‘sync it’. It may be for begginers project. But the board will be another gadget by Omitting and adding some parts. Don’t forget to write software for your own gadget. it’s getting to another gadget by your imaginations. it’s not for beginners project. get one. and build it as “Sync it”. And get another one and make it to another gadget no one know yet. and share it all of us. #”volca”,”monotribe”is trademark of KORG INC.